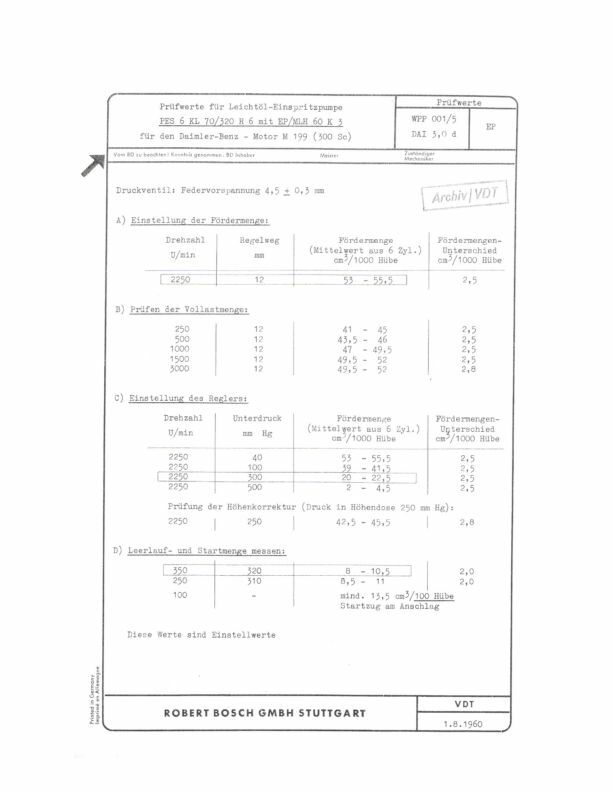 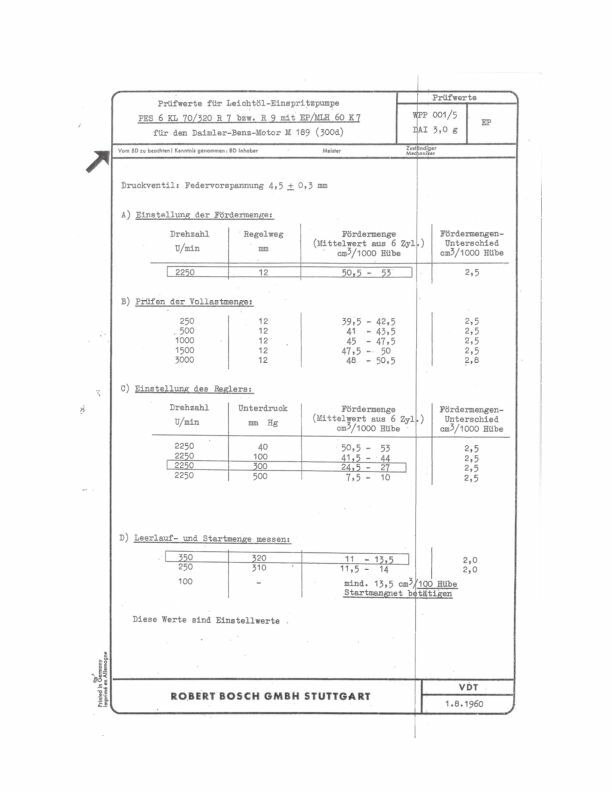 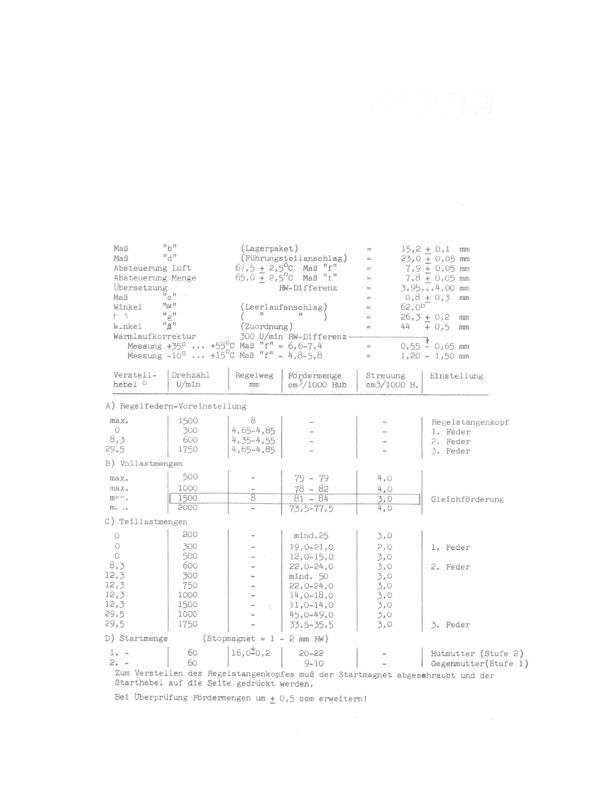 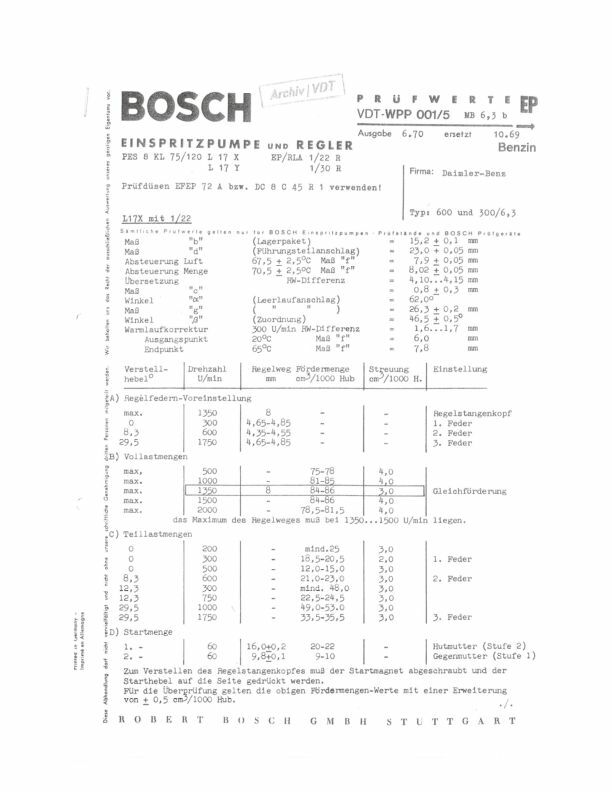 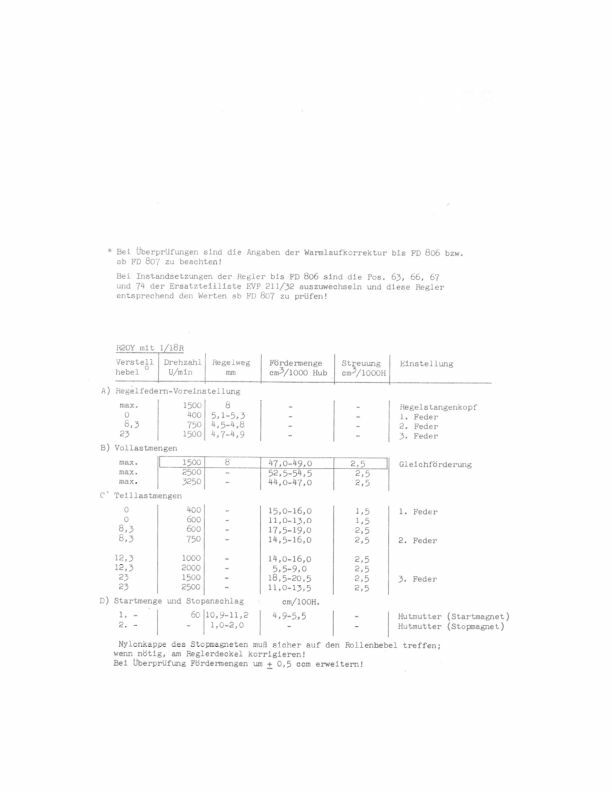 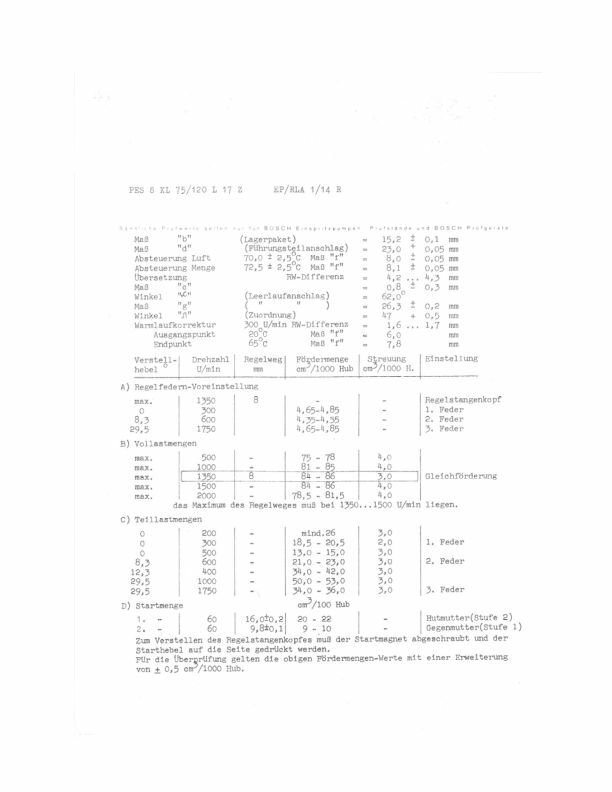 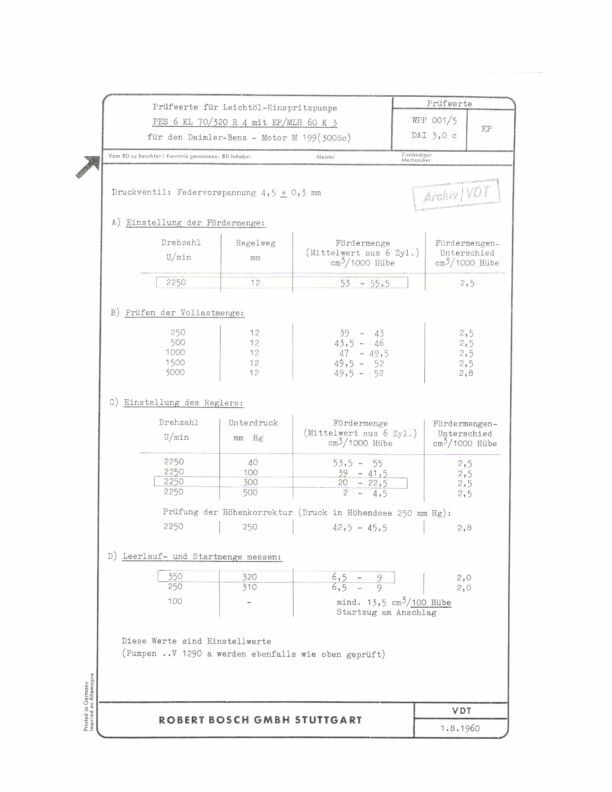 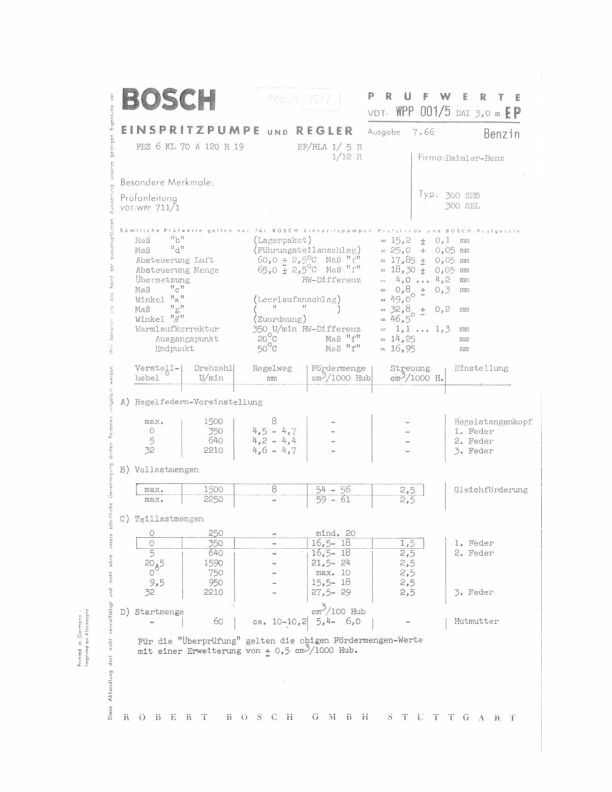 The following pages are extracts from the Bosch data sheets. 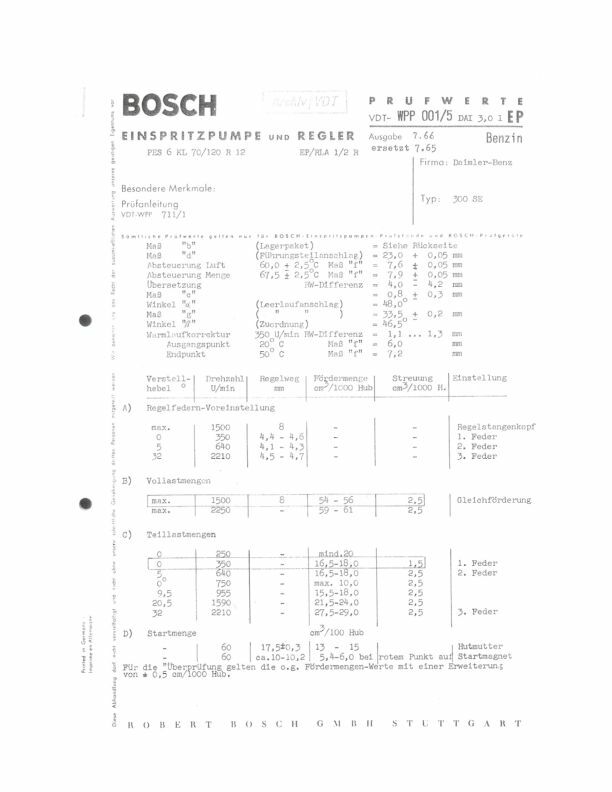 Select the correct sheet for your pump by comparing the sheet reference codes with the data plates fixed to your pump. 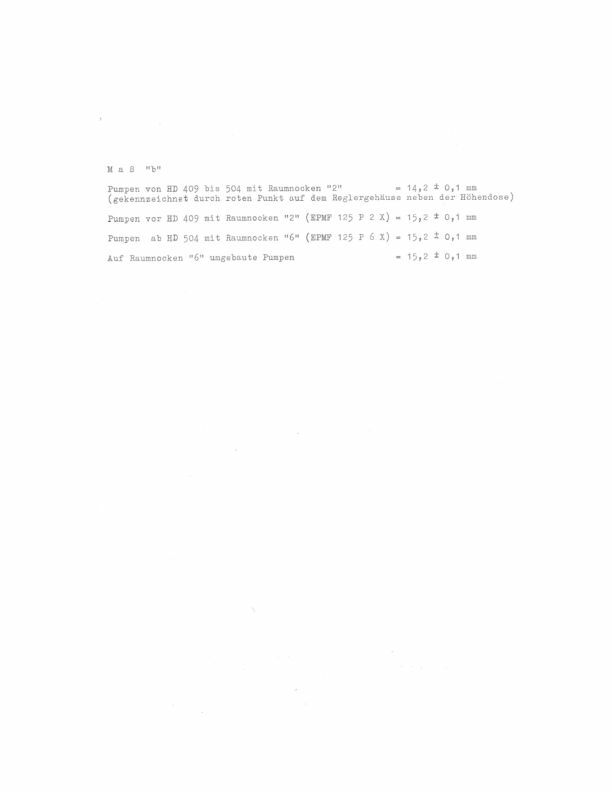 The pump plate is located to the left hand side of the pump housing near the top. 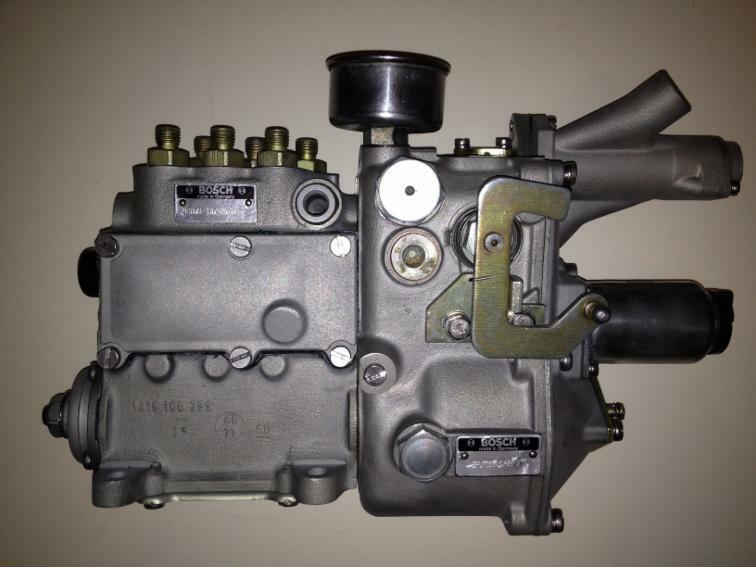 The regulator plate is located to the left hand side of the governor housing near the bottom. 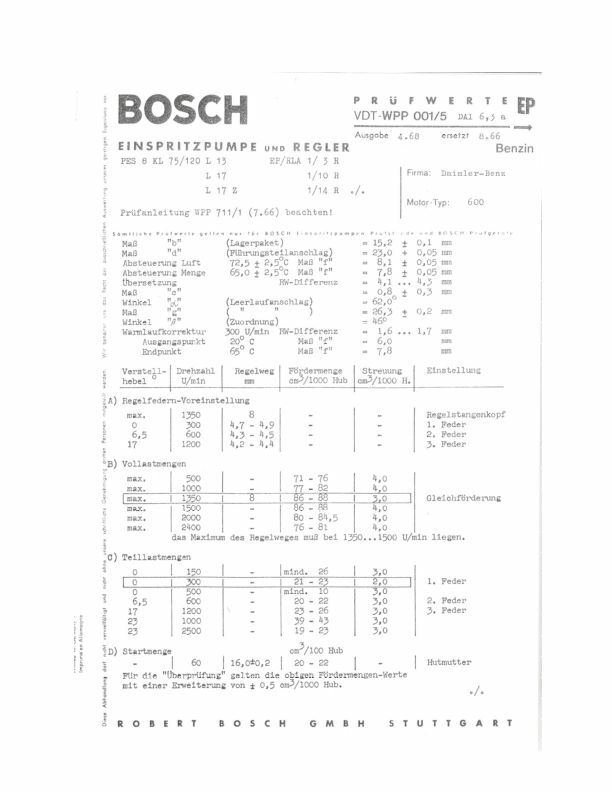 The third plate, on the top of the governor housing, relates to the vehicle model the pump is fitted to and is not relevant in selecting the correct data sheet for calibration, but can be used for general pump identification. 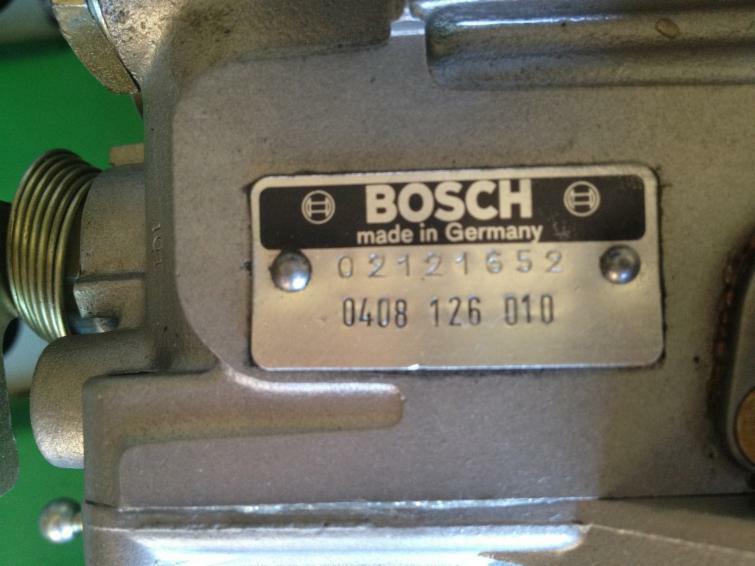 This is useful if you have to try and find a replacement pump. 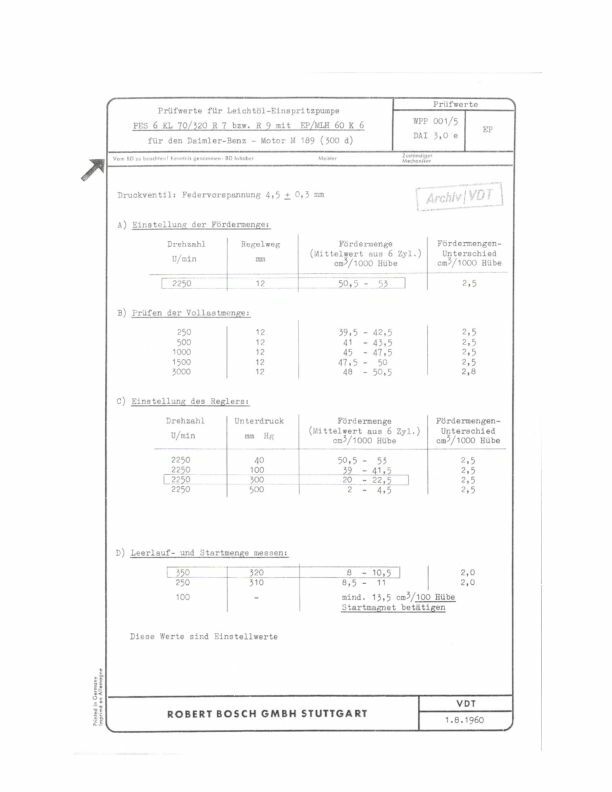 Details for making the adjustments and reading your data sheet is given in Chapter 11: Testing and Calibration.